Art days with the boy . . .
All weekend long (and yesterday) we spent our days, mornings, afternoons and evenings outside, in the pool, in the sun, in the heat, sweating and playing. Today, mama needed a break. 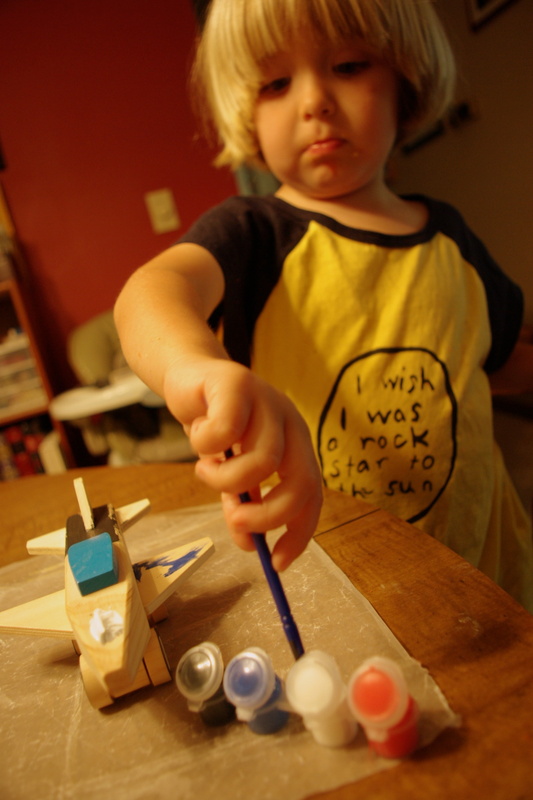 So, we stayed inside and played with our new Melissa and Doug painting set/airplane model and he just Loved it! We started out slow, the paint brush awkwardly in hand . 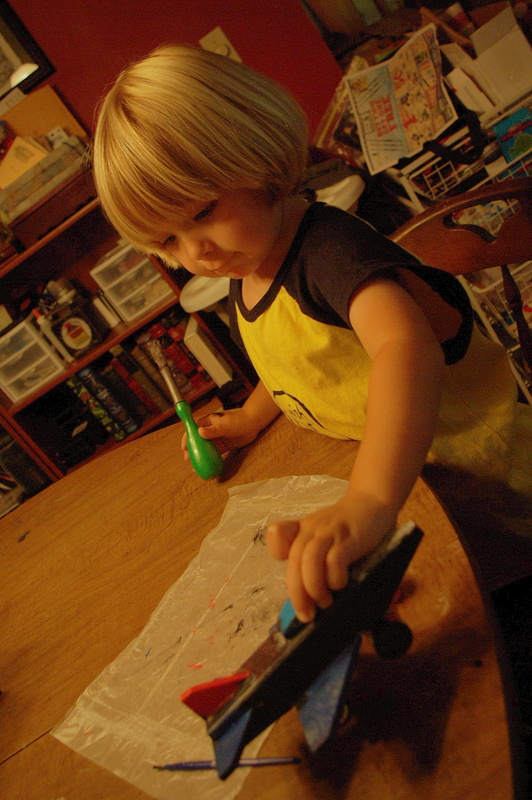 . .
And eventually he got confident enough to get his own paint (without turning it over). 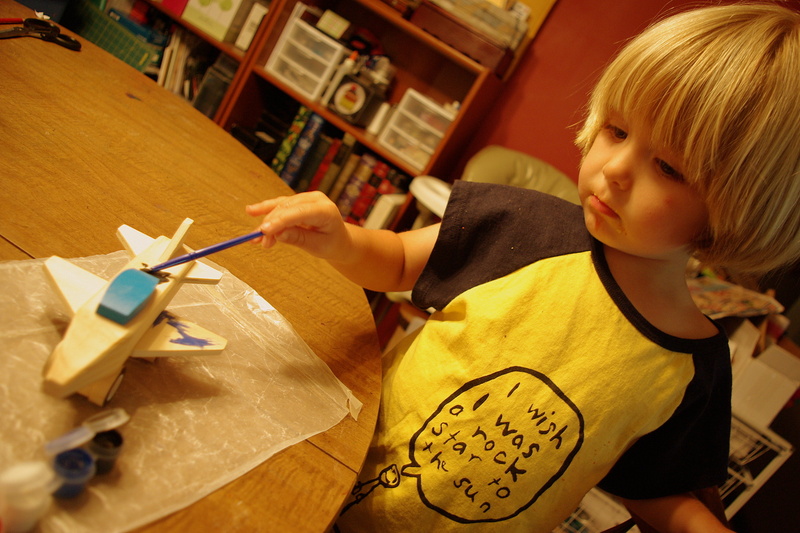 And then he wanted to fly it around the table, wet paint and all. And of course, I let him. 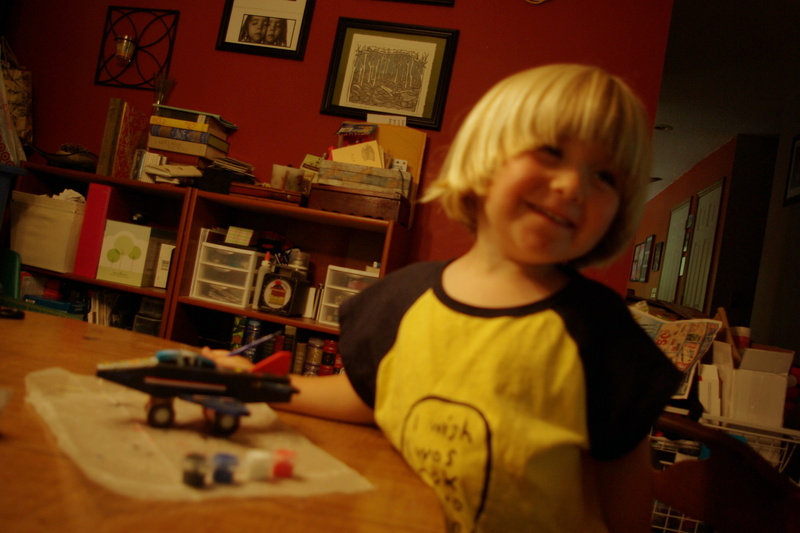 The little man ‘smiling’ with his finished masterpiece (in all its out of focus glory). hand-pulled screen printed t-shirt by Mia Beach of eight story press.